Many countries in the Middle East have seen vast improvements in their safety records over the last several decades. However, injury and fatality rates continue to remain high in industries such as construction. 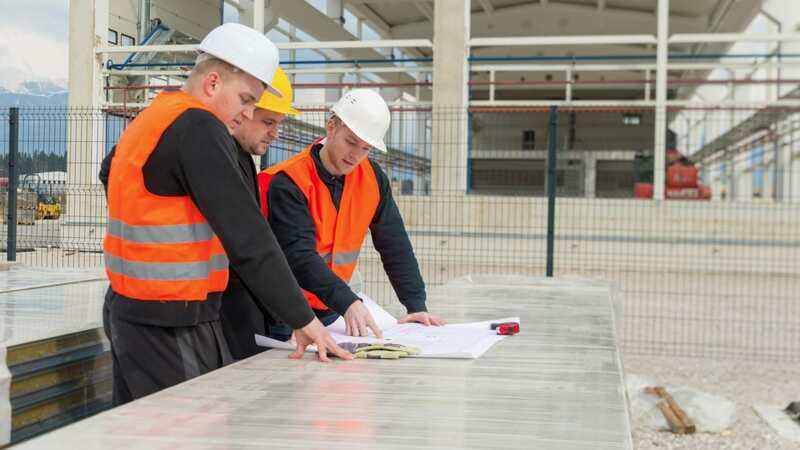 Researchers at the Heriot-Watt University found that only 18% of construction companies in the Dubai Municipality conduct regular health and safety training. Nearly half of occupational injuries in the Kingdom of Saudi Arabia happened in the construction industry and a third of construction injuries in Kuwait were as a result of falls from height. Hundreds of workers in Qatar have been injured or killed while building the 2022 World Cup facilities. To truly create lasting change, organisations must create an environment in which safety is more than just a box to be checked, but is an attitude that makes up the very foundation of the company and is upheld by everyone from front line workers to senior management. A culture of safety can be defined as the collective values, beliefs, attitudes, and norms that shape individual safety-related behaviors in an organisation. Establishing this culture begins with an organisation’s senior management. If senior management is committed to improving safety, fostering the success of a safety programme, and empowering everyone within the organisation to be part of a solution, then a culture of safety can flourish. With a culture of safety, everyone looks out for one another and encourages injury self-reporting without judgment or consequence. It’s about improving the culture and system as a whole to find the causal factors that led to those injuries or mistakes. Establishing a culture of safety and effective safety programme requires an honest assessment of an organisation’s risks. In order to appropriately assess risk, it is critical to form a health and safety team that directs all workplace health and safety initiatives. It also can be useful for companies to engage third-party workplace health and safety providers. Many assessment, evaluation, and survey tools are available to ensure that decision-driving safety information reaches senior management. While such tools can be quite valuable, they do not address the potential underlying issues that may exist within a company’s internal processes. A culture of safety is most impactful when it complements an already solid foundation of internal policies and procedures that can, in turn, uphold and reinforce the culture. There are several ways to invest in safety. Ensuring safe facilities is one key measure. Creating systems to track and prevent safety concerns is another. These systems can be technological, such as an incident management system. They also can be infrastructural, such as simple mechanisms for employees to voice safety concerns and suggestions. Regardless of what form they take, these systems must engage employees in the safety of their environments and offer them ways to proactively be a part of improving it. One of the most important ways to invest in employees is by offering thorough and ongoing training opportunities. A learning-centered approach transforms knowledge from training into action that drives bottom-line safety results, including risk reduction and injury/illness/loss prevention. From an employer’s perspective, training can be viewed as necessary, but costly. However, data shows that it is, indeed, better to be safe than sorry. Another critical step in implementing a culture of safety is developing, enforcing and committing to a robust workplace health and safety programme. The success of a safety programme correlates with the level of accountability that exists in an organisation. Accountability requires clear communication and the capacity to monitor behaviors and measure results. Top technology solutions support accountability measures with automated scheduling and notifications, scorecards to track leading safety indicators and performance management metrics, but even the most advanced management and incident tracking systems are of little value if employees don’t understand their role in using these tools to help make the workplace safer. Once a culture of safety has been developed, organisations must constantly reinforce safety messages, stress the importance of it being a team effort, and regularly evaluate progress to ensure the overall strength of the culture. Check in with employees and management to get their feedback and suggestions for what’s working, what’s not and how to improve. This team-centered approach will once again reinforce the idea that “we’re all in this together” and contribute to employee buy-in. Establishing a culture of safety involves a fundamental shift in thinking and behavior and organisation-wide commitment. It takes time to create and time to foster, but it is an investment well worth making because of the positive impact it can have on the health of any business and its workforce. Mark Ward is Vice President and General Manager of UL EHS Sustainability, formerly UL Workplace Health & Safety. UL EHS Sustainability is a division of UL, the premier global independent safety science company that has championed progress for 120 years. UL EHS Sustainability is dedicated to empowering organisations to protect the wellbeing of workers, reduce risk, improve productivity, enhance compliance, and drive measurable business improvement through its EHS, occupational health, environmental, supply chain, sustainability, and corporate social responsibility platforms.